Editor’s note: I-CAR announced during NACE it would launch a production management career role, its first new Professional Development Program in five years and one it says the industry had been seeking for years. The first class begins Monday. In the first of a new I-CAR column series on industry issues, CEO John Van Alstyne elaborates on the new I-CAR “major” and the organization’s rationale for offering it. The collision repair industry is undergoing a dynamic transformation. Technologies, knowledge requirements and adult education best practices are changing, and this means the nature of the training collision repair shops must have to provide complete, safe and quality repairs is evolving as well. The driving force behind this critical, ongoing need for knowledge is the “Technical Tsunami” – the waves of change that have been occurring in the automotive industry, resulting in new technologies and new materials like aluminum, magnesium, carbon fiber, advanced high-strength steels and vehicle-wide proliferation of advanced electronics – which significantly affects the complexity of repairs our industry must be equipped to perform. Education that can help make the difference between a business dying, enduring, or even thriving while surviving in the wake of this tsunami is expanding beyond traditional technician training into effective management of the repair production process. Additionally, I-CAR is helping the collision repair industry understand the positive correlation between training and KPI performance, and how true “Learning Culture” organizations have learned to harness education and knowledge to build sustainable competitive and operating advantages. At the NACE | CARS Expo & Conference in Detroit in July, I-CAR formally announced the roll-out of its new Production Management Role (PMR) as part of its Professional Development Program (PDP) for the collision repair industry. The focus of the Production Management role is effective management of the repair process, or the shops’ production process. A core component of this program is to support the adoption of a “Learning Culture” in the industry – or, supporting the collision repair industry’s ongoing need to develop its technicians’ knowledge, competence and performance to help improve customer satisfaction, deliver complete, safe and quality repairs and provide an up-to-date skillset poised to meet future needs. This Technical Tsunami is real – it’s in the body parts, it’s in the frame, it’s in the structures, it’s in the materials throughout the vehicles, including electronics in the front and rear ends of the vehicles. There are an anticipated 142 new or redesigned models being introduced in 2015 alone. All of these new technologies require new knowledge and skills on the part of collision repair technicians to perform complete, safe and quality repairs for the ultimate benefit of the consumer. As part of the original PDP program, which was launched in 2010, we had created a number of professional “roles” that characterize the primary functions found in a collision repair facility. These six technical roles include: Estimator, Non-Structural, Steel Structural, Refinish, Aluminum Structural and Electrical/Mechanical. A seventh role was identified at that time, the Production Manager, but it was parked pending further research. I-CAR picked this role up nearly two years ago, and has since been working hand-in-hand with industry subject-matter experts and conducting research, all to fill a rapidly growing industry need: Production Management. Launching on Aug. 10, Production Management is the first new role added to the PDP since its inception. The Production Management role involves managing the repair production process. When managing production, shops face staff implications and process implications. The effectiveness of the production management process is critical for the shop’s ability to drive KPIs and foster continuous improvement. The curriculum also provides insights developed by I-CAR on Learning Culture. Businesses which truly develop and nurture a Learning Culture are able to magnify performance gains. Ultimately, this new role is designed to help the industry better achieve its performance goals at the shop level, but also ecosystem-wide as it relates to more affordable repairs and better consumer satisfaction. To develop the role, I-CAR used the DACUM process, which is an Ohio State University-developed process. DACUM stands for “Developing a Curriculum.” We applied this process by gathering industry subject-matter experts who are currently in production management roles. We had more than 200 years of production management experience represented in the industry panel and over 600 hours invested by these individuals to help create this role. The roll-out of the PMR is I-CAR’s first foray into purpose-built blended learning, and will be a new experience for our students. The initial series of 10 courses launching in August, which represents all the courses required to achieve ProLevel 1 Platinum status, is 50 percent online, 30 percent virtual and 20 percent live. Most courses require pre-requisites, ensuring that each course builds upon the previous courses. This means that students will face fewer redundancies in the curriculum, which means more effective and efficient learning. These new courses also follow I-CAR’s new model of interactive learning: The courses are engaging and, given the purpose-built architecture, the courses are generally shorter. Online courses are less than an hour, virtual courses are either one or two hours, and the two live courses are both two hours – as opposed to I-CAR’s historical three-hour construct. All of this is a big change versus the I-CAR class of the past; learning will be more effective, with less time required to complete the training. Technicians can achieve platinum recognition with this role, and we recommend they plan their training three months in advance because of the course sequencing required. However, it’s important to note this role currently is not a requirement to achieve or maintain Gold Class recognition. The industry has spoken, and we’ve listened. Purpose Built, Blended Learning has been applied to reshape I-CAR’s educational programs. The Production Management role represents a key shift that we’ve made to address feedback from the industry, as well as educational best practices. The principles represented in the PMR program also represent the basic curriculum development principles that I-CAR will be applying to the rework of our entire portfolio over the next couple of years. As a simple example of how much impact we expect this to have, let me offer a comparison. If you were to take 10 current random I-CAR classes at three hours apiece, it would require 30 hours of training. Whereas the 10 sequenced Production Management courses time out at about 13 to 14 hours, while still meeting all curriculum and learning objectives, a 50 percent reduction in required “classroom” time. The production management process is the heart of the repair process and the Production Management curriculum will provide the framework required to advance the entire industry. Shops will see tremendous benefits from production management training. In addition to better execution of the production process, learners will develop better problem-solving skills, be equipped to drive better KPI performance, and also help the business better attract and retain top talent. Historically, I-CAR has been known as a training organization – but we represent much more today. To keep pace with the wind of change brought on by the Technical Tsunami, we are constantly working to improve the quality of training we offer to the industry, to introduce new training to the industry and to provide the critical information the industry needs. To get to this new vantage point, we’ve worked closely with all segments of the collision repair industry, notably OEMs, and are focused on providing a broader array of technical services to all. The Production Management curriculum within our Professional Development Program that you see today is another step in our ongoing transformation and service to the Collision Repair industry. 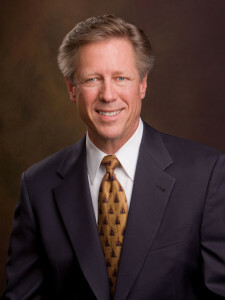 John S. Van Alstyne is CEO and president of I-CAR.